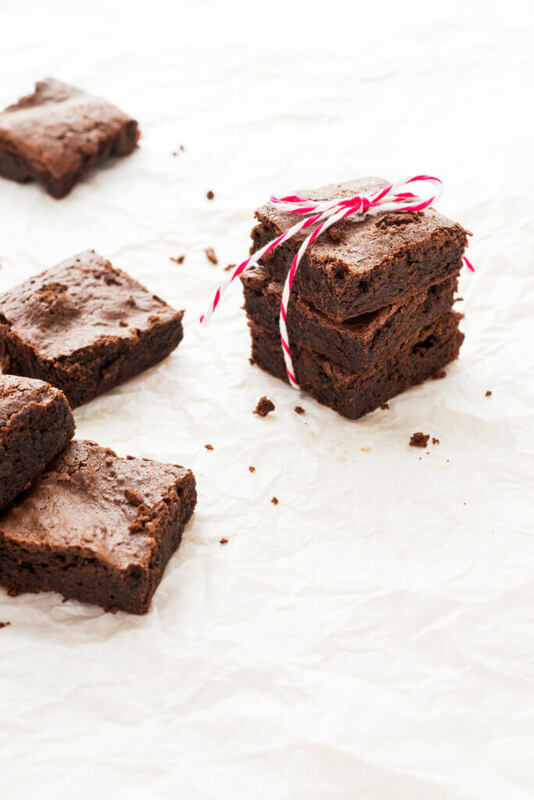 These delicious no-bake brownies will be a new family favorite this holiday season. Line an 8 x 8-inch pan with plastic wrap. Set aside. Combine all ingredients in a medium bowl and mix well until there are no lumps in the mixture. Using a spatula, press this chocolate mixture into the prepared pan. Cover with plastic wrap and press down to flatten into pan and create an even layer. Refrigerate for 1-1.5 hours hour till the brownies set.